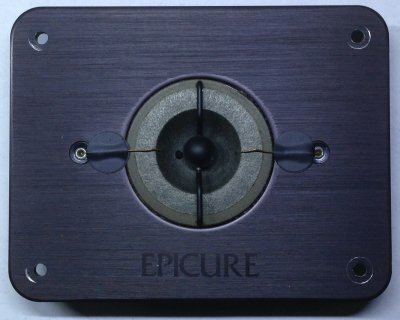 The Epicure 3.0 tweeter, while basically a typical EPI "airspring" model, poses some rather difficult issues when it comes to rebuilding. Not only is it difficult to disassemble and reassemble, but the way the lead out wires are attached to the mounting bolts internally makes it very easy to break them internally just by reinstalling them. So I have developed another solution, based on some early work I did on a pair of 3.0's I rebuilt for a customer who no longer had the originals. 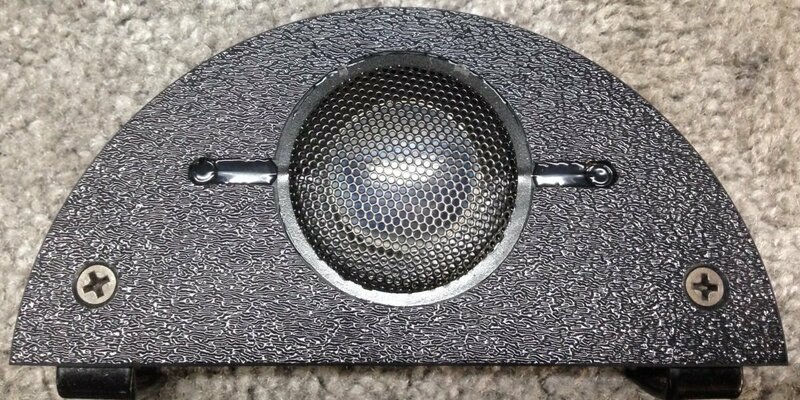 This is a custom made tweeter designed to fit under the stock foam top cover. It is simply screwed to the top of the box, and a pair of new wires are attached to a set of screw terminal barrier strips, which take the place of the old tweeter connection system. The screws, wires, barrier strips, and bolts are all included with the new tweeters, along with instructions for setting them up on your cabinet. 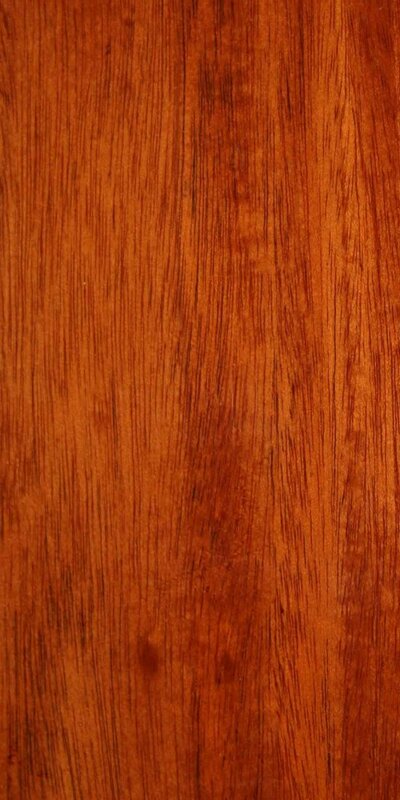 The curved top is designed to minimize reinforcement of refracted sound waves, just like the original. The new tweeter is completely compatible with the existing crossover, and actually sounds a bit better than the old tweeters. Go here for the installation instructions.